Happy Monday. I hope you had a great weekend. Today we are going to do another round of gift guides. 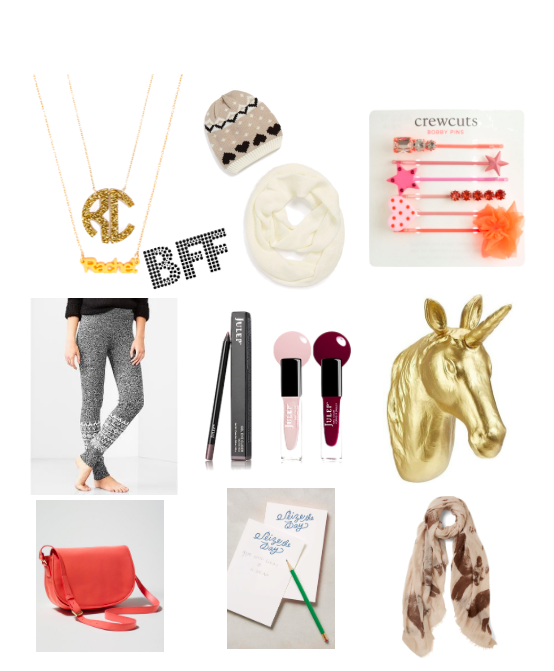 This set is for your bff. You can tell her anything, you can get dressed to the nines or stay in and watch Gilmore Girls; tell her how you feel with these great gift ideas.